Inland Performer Hay Tarp Systems. Square bale tarps to fit most stacking patterns. Stays on in heavy wind using “Super Cinch” tie-down systems. 3 to 5 years of life with proper installation. UV stable. White side up to reduce heat absorption. 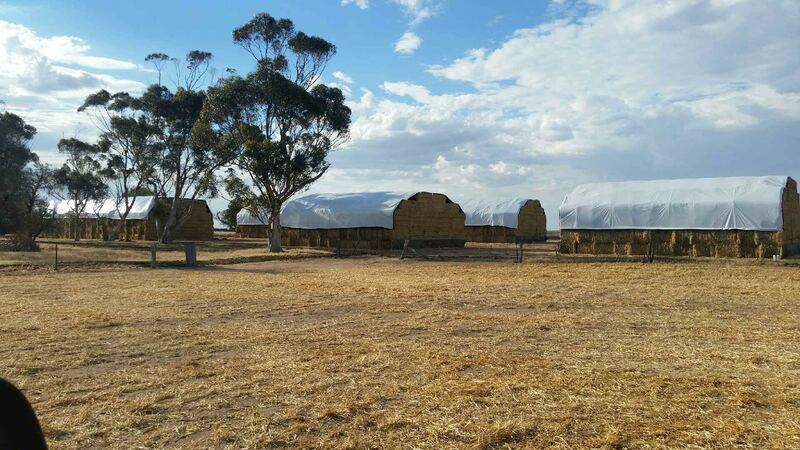 What’s it going to cost if you don’t cover your hay?